Twitter isn’t going anywhere. The sad thing is, most authors are ignoring it. A few authors like CS Lakin and Mary DeMuth are doing an incredible job of using the network to connect with readers, industry leaders, and even publishers. They “get” Twitter because they know it’s a powerful tool and they take it seriously. Authors need to start thinking like advertisers. Advertisers know that people talk. They don’t just stick to one social network. They chat with their friends on Facebook, share photos on Pinterest, add their two cents on Twitter, and ramble on blogs. The trick isn’t to control communication, it’s to provoke it and harness it. Hashtags are the internet’s way of indexing conversations. Using Twitter can increase your virality and your sales. That sounds like a pretty solid reason to use the platform. At the 2013 Superbowl, Twitter was declared the winner. Almost every commercial had a hashtag associated with it. Remember the heartwarming God Made a Farmer commercial? It had a hashtag: #GodMadeAFarmer. The hashtag started trending, the video went viral, and all of a sudden TV advertising was relevant once again. Just like the God Made a Farmer team, Mary DeMuth added her hashtag to the end of her video. By the time people had finished the trailer, they were ready to spread the word! Remember the Superbowl? It wasn’t a football team or a singer that won. It was Twitter. – Click to tweet. What’s the deal with hashtags anyway? – Click to tweet. What does this book trailer and an adorable Superbowl commercial have in common? – Click to tweet. Start thinking like a marketer, not a starving artist. – Click to tweet. Find out how hashtags work over multiple platforms. – Click to tweet. During the post halftime show blackout, advertisers took advantage of the oppotunity to use Twitter to release spur of the moment marketplans, blitzing their way to commercial wins. Oreo won fans by this tweet. It was a great moment for transmedia. CS Lakin increased her print book sales by 1,000% in one month just by using hashtags correctly. If you want those kinds of numbers, you must start tweeting smarter. Want to get your message to spread across Instagram, Pinterest, Facebook, Vine, and half a dozen other sites? Use hashtags. Mary DeMuth did this well for her #EverythingBook (check out her board on Pinterest!). Almost every day, she would release a sharable image. Often, it would include the #EverythingBook hashtag. Have you created a hashtag for your book? 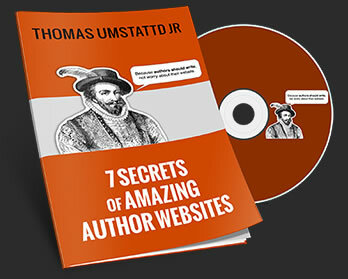 Do you need a website for your book?